One of the easiest routes leading to the summit of Triglav starts at Rudno Polje on the Pokljuka Plateau. 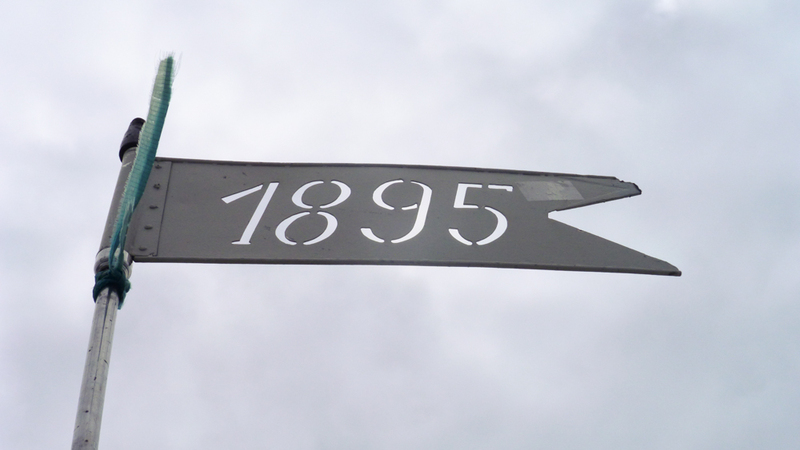 Although technically straightforward, the route is long and physically demanding. 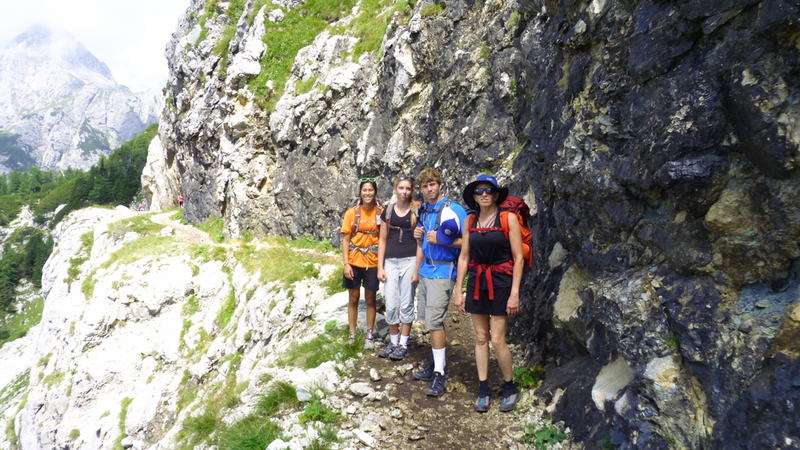 Together with a group of American friends we chose to climb Triglav during the week to avoid the crowds. We drove to Pokljuka and quickly reached our starting point, where we started for Studorski Preval, enjoying the marvellous views of the mountains surrounding us along the way. Soon the path brought us to the Vodnikov Dom mountain hut above Velo Polje, where we enjoyed a cup of warm tea and some snacks. 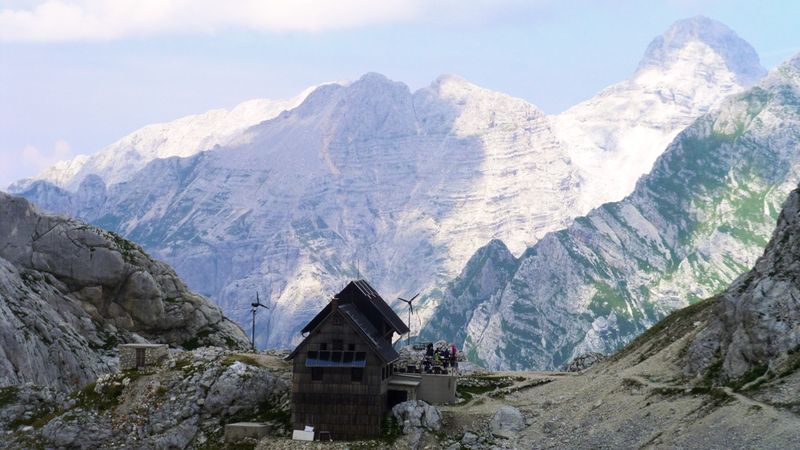 Our eyes were drawn to the Planika mountain hut, which was our goal for the day. Shortly after leaving the hut we encountered the first exposed part of the route, which is well equipped with pitons and steel ropes, so that even people who are afraid of heights can feel perfectly safe. Before long, pitons were replaced by a path leading up a steep scree slope and soon we reached the hut, which had just poked through the clouds. The Planika hut is very cosy, its only drawback being the toilets. Those inside the hut are closed during the day, while the outside ones are simple affairs, which are not the most pleasant to use. Prices are reasonable, considering that the hut is supplied by helicopters (compared to an average Austrian hut, they are perhaps slightly lower). Bunk beds are clean and tidy, while snoring can only be alleviated by a set of good earplugs. Before breakfast we already roped up and started up the old Via Ferrata, which had been part ofTriglav’s landscape for more than a hundred years ago. I’d say that the difficulty is around grade A, B of the German scale. The large number of hikers who often dislodge rocks and stones is the most dangerous aspect of this route, making helmets a more than welcome piece of equipment. 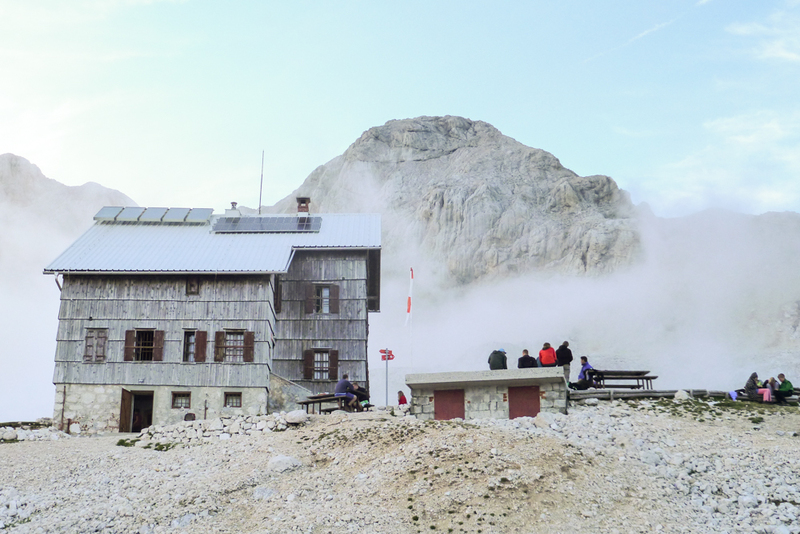 We quickly reached Mali Triglav (Little Triglav), where we encountered even more people. Despite the slower pace on the ridge leading to the top, we still stood on the summit after two and a half hours. After taking some photos of the 120-year-old Aljaž Turret, we immediately began to descend, eager to get some breakfast at Planika. We were back at the hut in less than two hours, ate our brunch and headed for Dolič. We were practically the only people on this path and reached the Dolič Hut in an hour and a half. From there we were on our way towards the Seven Lakes. The hut at Prehodavci to the west was inviting us to stop, but we continued on towards the Triglav Lakes Hut. After 14 km which we’d already walked these final metres felt longer than usual and everybody kept asking how far we still had to go. After arriving we were all glad to have a shower and a late lunch, which tasted especially great after such a long day. The hut is of a more modern variety, but passing guests have to pay for the toilets and the shower. Food is excellent and everyone working there is very friendly, although the hut is more expensive than Planika. Tired from the previous day we slept in before heading for the valley. 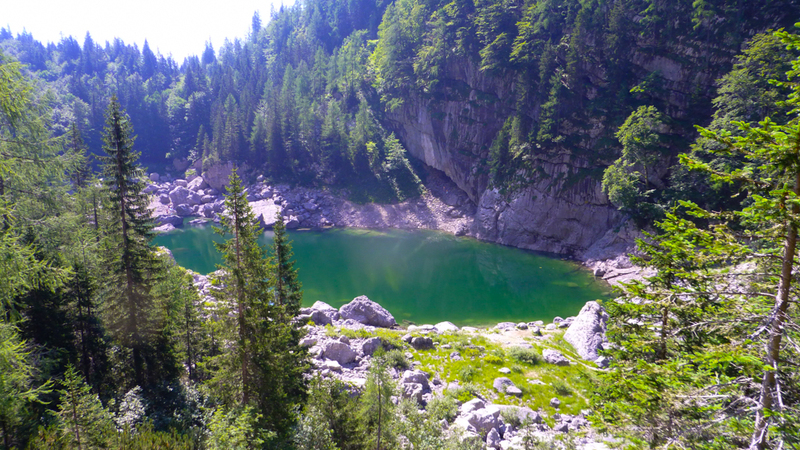 Pleasant shade and beautifullandscape brought to the Black Lake, where many people enjoyed a bath. Next up was Komarča, a real workout for our tired legs. 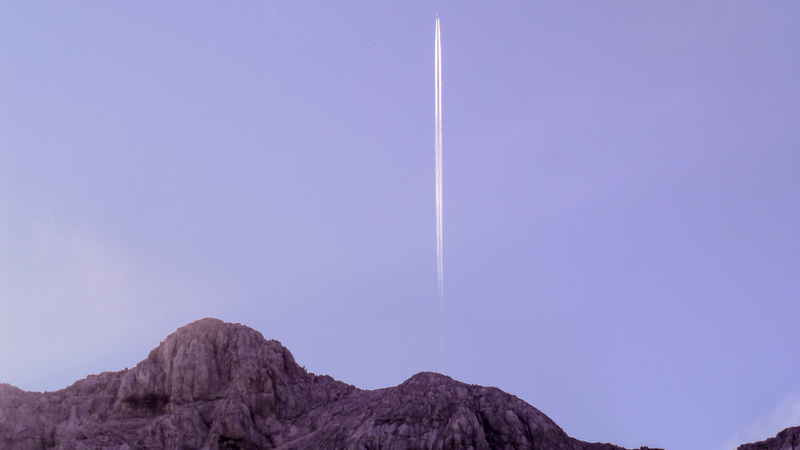 The path is steep until the last few metres, easing just before the Koča pri Savici Hut. In three days we totalled 34.32 km. We walked for 19 hours and 45 min. 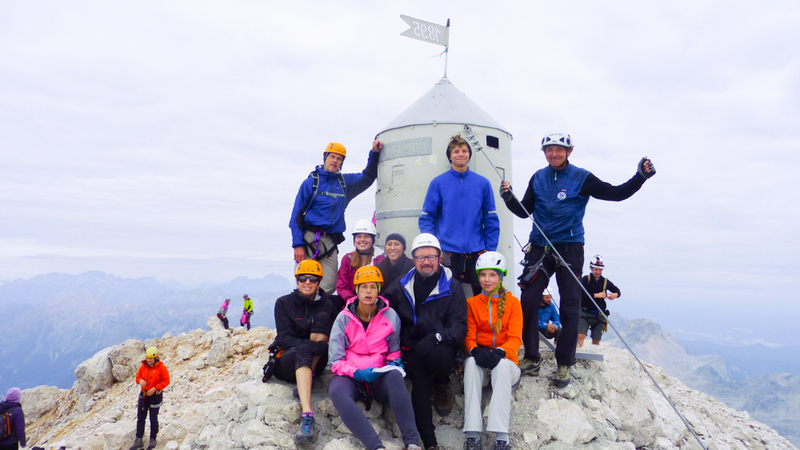 We climbed to the top of Slovenia’s highest summit and marvelled at the 120-year-old Aljaž Turret.